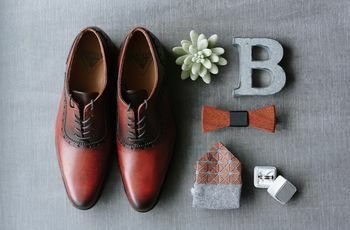 7 Things to Do Before You Put on Your Wedding Suit | Wedding Ideas ARE YOU A VENDOR? So you’ve decided on your look for your big day and you’re ready to get suited and booted? Congratulations, you’ve almost made it to the finish line. But, wait. Before you put on your wedding suit take a moment to look at your wedding day schedule. If you’ve got any pre-ceremony primping, pampering or activities scheduled, you’ll want to hold off on putting on your tux. Save it until you’ve completed all your must-do tasks to avoid any wardrobe malfunctions. Here’s what to do before you put on your wedding suit. 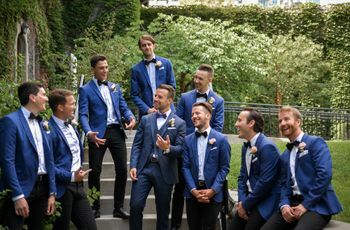 If you’re planning on indulging in some pre-wedding fun with your boys, you’ll want to bring an extra change of clothes. Whether it’s a quick round of golf or kicking back and watching the hockey game, you’ll want to do it tux-free. You’ll be way more comfortable and you won’t having to worry about wrinkling or staining your ensemble. You don’t want to crash before you reception begins, so you’ll want to get in a pre-wedding meal before heading off to your ceremony. 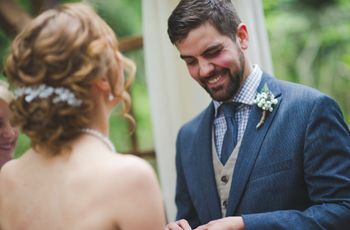 Whether it’s a simple snack like a Clif bar or a full-blown breakfast of eggs benedict, you should skip chowing down while wearing your wedding suit. Crumbs, spills and stains are the enemies of your wedding look. Shave and style your hair while you’re still in your sweats - especially if you’re using a ton of product. You don’t want any hair, gel or pomade to get on your fancy getup. Feeling extra proactive? Head to the barber shop with your groomsmen a day or two before your wedding. Smelling great is uber important on your big day, so you won’t want to forego the deodorant. Apply it before you put on your dress shirt to avoid adding some unsightly marks to your look. If you plan on putting on some cologne, you’ll also want to do that before. Spray marks are not the wedding accessory you’re looking for. 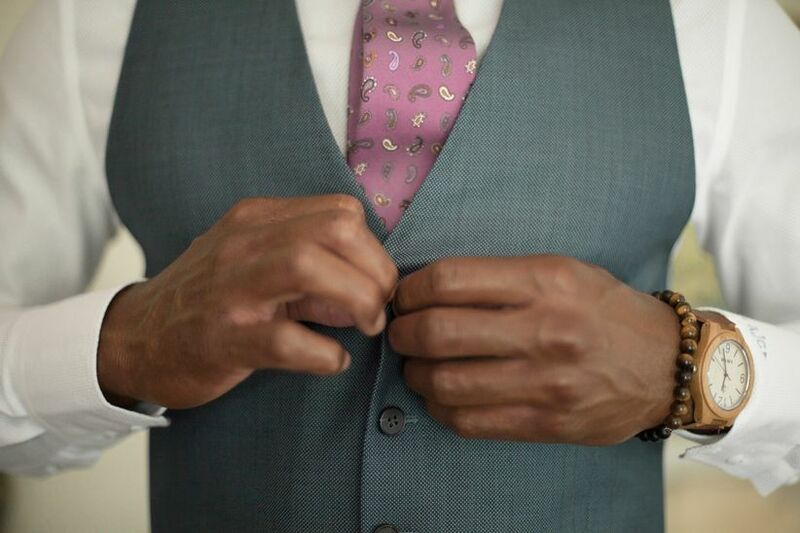 If you’ve already mastered the art of tie tying, you are good to go. 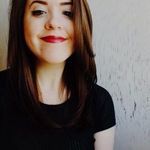 However, if you haven’t quite nailed the look you’re going for you’ll want to work on it before you slip into your wedding suit as it can be quite stressful. If you’re going for something that you don’t normally rock, like a bowtie, it may take a few tries so don’t get discouraged and try to remain calm. There are plenty of YouTube videos to guide you. Lucky for you, using the washroom will be much easier for you than it will for your blushing bride. She’ll probably have to have a pal help her mess about with copious layers of tulle and taffeta, while you only have to undo a button and a zipper (clearly only a one-man job). Even though it’s super simple, we suggest going before you get suited and booted. You don’t want to risk having nature call while you’re standing at that altar. 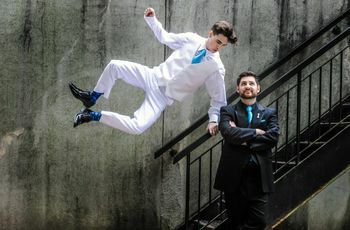 You don’t want to be running around your venue in your wedding suit trying to coordinate your vendors - that’s just asking for some unwanted scuffs and sweat stains! Do all those last-second deeds before you put on your outfit, after all, you don’t need to look dapper when dealing with place cards, table numbers or seating arrangement changes.